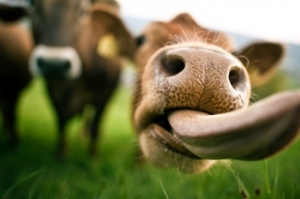 Home Investing From Moo To Moolah! The stock market has been fruitful this last year, we would be hard-pressed to argue that, Dow 16000+, new highs for the S&P, people are giddy about their returns. However, If you’re still skeptical like me about wall street products, maybe its time to jump on the ‘alternative investing’ bandwagon, just like I have. So, with that being said, I figure it is time I update y’all on my cattle investing experience, especially since I have ‘taken some profits’. Remember, this investment was made with funds from my Self-Directed IRA. And because my Self-Directed IRA is essentially recognized as a ‘Traditional IRA’ from a tax perspective, I will pay no tax until I take a distribution at 59 1/2 years old, which by the way is about 17 years from now…I will however, pay the tax rate related to my income in 2031, not 2014. If you choose a Roth IRA, as opposed to a traditional IRA, you’ll pay the tax rate of today, rather than the rate at the year of your retirement. On 6/12/13 I bought 40 head of cattle for a total cost of $32,800. On 9/5/13 I bought 10 head of cattle for a total cost of $8000. On 11/27/13 I paid for feed, artificial insemination, and vaccinations for a total cost of $8000. My total investment in my cattle enterprise is $48,800. My goal was to breed all 50 heifers, that way the value of each significantly increases. To my dismay though, of the 50 head of cattle, only 38 were able to be bred. Apparently, heifers have similar problems to humans with carrying calves to full term, this I was not prepared for. The un-impregnated heifers sold for $820 each for a total of $9,840. I had to pay Jeremy a 5% commission ($2935) fee on the pregnant heifers and a 3% commission on the un-impregnated ones ($295) for a total of $3230, which I felt was very fair since he’s been babysitting them since last June. So, While my cattle investment only has 9 months of data, my experience should provide you some insight into the costs involved, and the real life expectations of cattle investing. That way, if you ever decide to invest in cattle, hopefully my experience will provide you the know-how to make a sound investment, and of course, feel free to ask me anything about it! Like I said, the stock market has been flying high, so my heifer investment faces some stiff competition, but my objective is really to expand your perspective by giving you investment ideas, you may not have thought of. In order for this comparison to have merit, I feel the need to show you how it compares during a bull market. What would my return be, had I made the same initial investment of $48,800 in three S&P 500 (SPY) ETF’s instead. That is, if the purchases were on these same dates, then sold out on March 1, 2014 (the same date when I sold the cattle)? June 12th 2013 the SPY was trading for $162.73 per share. I could have bought 201.56 shares which would have been valued at $37,548 on March 1. Sept 5th 2013 the SPY was trading for $165.96 per share. I could have bought 48.20 shares which would now be valued at $8979, on March 1. November 27th 2013 the SPY was trading for $181.12 per share. I could have bought 44.17 shares which would now be valued at $8170, on March 1. Total value of this fictitious investment on March 1, 2014: $54,697. There you have it, my cattle investment bettered the SPY investment to the tune of 19.4%, and that my friends, is during an exceptionally robust, bull market. Moral of the story….Alternative investments in a Self-Directed IRA can pay off handsomely. Oh and one last thing…Had my cattle investment gone to zero, I still would have been able to feed my family and my entire community for a whole year! To my knowledge, an SPY investment has no ability to quell your hunger in a precarious situation! For more on this read about how I bought the cattle through my IRA. You and Pauline over at Making Money Your Way are brilliant for alternative investing strategies. For me, it’s totally out of my comfort zone but I’d be interested in investing in coconuts, cattle… all these things that I have no experience with, but being in Canada I’m afraid of being ripped off by someone in Brazil or wherever these crops / herds happen to be. Thanks saverspender, I consider it quite a compliment to be mentioned in the same sentence as Pauline! Yea, don’t know much about coconuts in Brazil, but unless you are there and can oversee your coconuts, I would pass. I find it best to be able to oversee your investments and pay them a visit on a regular basis, that way it keeps everyone honest. Well I actually fell into it. My friend is a cattle broker, knows all about raising cattle and he has access to land. He had the idea to get a few investors to buy them, he would raise them, and then sell them to the highest bidder. He gets a cut from all the investors. I would love to own a cattle farm but know absolutely nothing about it. But the numbers you suggest are quite good for an investor. I have to admit Marvin, I new very little about it, truth be told I still do. I am not sure that is the best investment strategy, but I knew what I had, as they were all tagged, and I knew where I could go see them, and I had a contract, so I thought it would work out. Totally a gut feeling investment! I’m so glad that this investment is paying off for you! Did you by any chance get to keep any of the beef? Also, is this over now, or has your friend kept some cattle to reproduce to replenish the herd, and then retry again in another year or two? No I did not get to keep the beef, they were strictly to raise and sell. In a self-directed IRA I cannot have any benefit until I am 59 1/2 or else I could pay a penalty. May buy a couple in the future though, outside my IRA. Thanks DB! Yep, that is one term I cannot be accused of being, though there are many that I can!! I like this idea. We have a number of friends who own/raise cattle and we buy from them, but I never thought to see if they would be willing to cattle-sit for us. I think I’ll look into the numbers a bit more. Thanks for the suggestion. I might even score some inexpensive quality grass-fed beef for myself at the same time! That’s for sure, I am thinking of just getting a couple to grass feed and use as food rather than an investment! I think the price of beef will continue to increase, so raising your own can drastically offset the grocery store prices. Would you share who you went with as the IRA custodian? Also, did this investment generate any UBTI tax? 76% conception rate is pretty low; next go round, make sure you don’t have a trich problem.